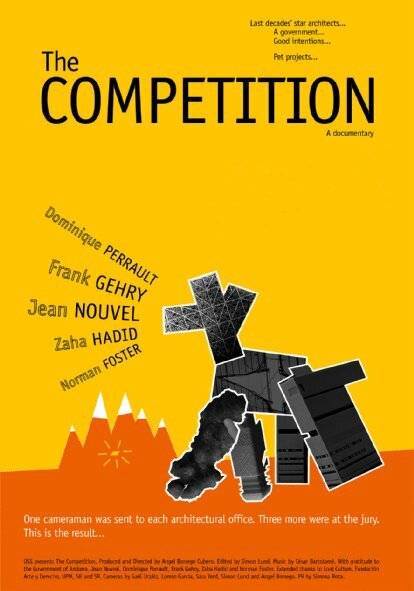 A documentary movie constructed as an almost uncomfortable but intensely fascinating account of how some of the best architects in the world, design giants like Jean Nouvel or Frank Gehry, toil, struggle and strategize to beat the competition. While nearly as old as the profession itself, architectural competitions became a social, political and cultural phenomenon of the post-Guggenheim Bilbao museums and real estate bubbles of the recent past. Taking place at the dramatic moment when the bubble became a crisis, this is the first competition to be documented in excruciatingly raw detail. Jean Nouvel, Frank Gehry, Dominique Perrault, Zaha Hadid and Norman Foster are selected to participate in the design of the future National Museum of Art of Andorra, first one in the small country of the Pyrenees. Norman Foster drops out of the competition after a change in the rules that allow the documentary to happen. Three months of design work go into the making of the different proposals, while, behind doors, a power struggle between the different architects and the client has a profound impact on the level of transparency granted by each office to the resident documentary crew, and which has a definite influence in the material shown in the film. The presentations to the jury happen one intense day close to the election time in Andorra, becoming a hot event in the tiny country, with media all around the international stars that may help shape its future. Of the four remaining architects, three show up to make personal presentations, every one of which becomes a fascinating study in personality, strategy, character, showmanship… and a dramatic moment in which any detail becomes both important and irrelevant, the line between failure and success perfectly imperceptible. But does the jury have the last word? Followed by a panel discussion with moderator Alison Gillmor and Paul Jordan, CEO, Forks North Portage; Johanna Hurme, 5468796 architecture and Grant Van Iderstine, Architecture49.